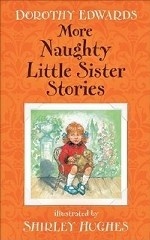 Аннотация к книге "More Naughty Little Sister Stories"
My naughty little sister is always getting into trouble. She gets mad at the photographer and refuses to have her photo taken Later, she climbs onto the gate and nearly falls when she shows off to Bad Harry. Will my naughty little sister ever be good?